A group of University of Illinois Springfield students, who are members of the Society for Advancement of Management (SAM) student chapter brought home two awards from the 2019 International Management Conference held March 27-30, in Orlando, Florida. The team placed third in the International Collegiate Business Skills Championship. Turner Clark received first place in the Extemporaneous Speech Competition and the UIS Chapter president - Mike Kirchgesner also served as the Social Media Ambassador for the conference. ential,” said Kirchgesner, who was competing for the second time. 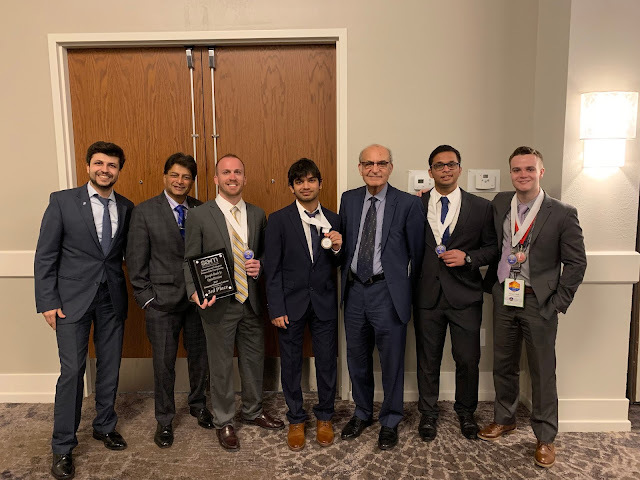 During the International Business Case Competition, UIS students competed against 23 other colleges and universities presenting solutions related to a business case about Hard Rock Café International. The case involved determining a strategic vision and creating a recommendation the company should take to improve, sustain, turn around, or correct its performance. “There are so many great networking opportunities at these conferences to help college students prepare for life after college,” said Kirchgesner. UIS students participating were; Mike Kirchgesner, a business administration major on the pre-med track from Springfield; Turner Clark, a business administration major from Swansea; Shreyas Shirish, a management information systems major from Mumbai, India and Rohith Madamshetty, a management information systems major from Telangana, India. The UIS chapter and competition team are advised by Hasan Kartal, Ph.D., assistant professor in management information systems. 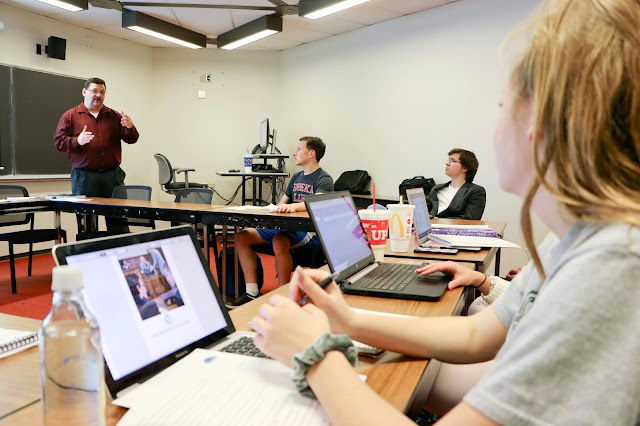 Horace Mann, a Springfield-based insurance and financial services company for educators, has donated $2,500 to the University of Illinois Springfield Teacher Education Department to help cover the cost of a dual credit course for high school seniors in Menard and Sangamon counties.